Dubbed as one of the most supported soccer clubs in the world, Chelsea FC has a long and impressive legacy. Part of England’s Premier League – one of the most watch and betted on leagues in the world – Chelsea has dominated the game since the early 1900s. Its home ground has been Stamford Bridge since Chelsea was founded. The Blues or The Pensioners are currently coached/managed by Maurizio Sarri. It’s owned by the famous Russian oligarch Roman Abramovich. Read on for more on Chelsea FC and where to find the best American sportsbooks for betting on the Premier League. 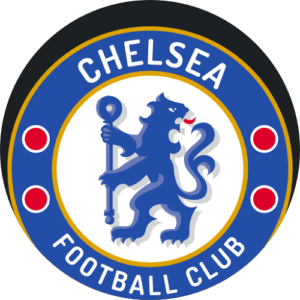 Established in 1905, Chelsea has gone on to become one of the most popular and wealthiest soccer clubs in the world. In 2018, Forbes magazine ranked it as the 7th most valuable football club in the world at $2.06 billion. Furthermore, in their 2016-17 season, they were the 8th highest-earning soccer club in the world. They had around $490 million in the bank. They have the 6th highest average all-time match attendance, regularly bringing to Stamford Bridge over 40 000 fans. Chelsea FC’s traditional fanbase is spread across Greater London, including Battersea, Chelsea, Hammersmith, and Kensington. The club’s supporters were nationally notorious for their violent hooliganism during the 1970s and 80s. But things have calmed down thanks to tighter policing, CCTV cameras, and all-seater stadiums. Chelsea FC’s colors are most probably the most noticeable worldwide. Their away kit is the famous blue with white and red stripes. While their away uniform is yellow with blue socks. Their uniform is so popular that between 2007 and 2012, their kit ranked 4th worldwide in annual replica sales at an average of 910 000. Because of their long existence, rivalries are very intense between Chelsea FC and their arch rivals. Firstly, there are long-standing rivalries between Arsenal and Tottenham Hotspur. Leeds United is also a strong rival of The Blues which goes back to several controversial and heated matches between the two in the 60s and 70s, especially the 1970 FA Cup final. Finally, there’s a growing rivalry between Chelsea FC and Liverpool FC owing to repeated clashes in cup matches. With Chelsea’s long existence as a soccer club, we’ll be focusing on their main victories. In 1955, The Pensioners won the First Division cup and various other cups between 1965 and 1971. They have experienced a steady streak of wins throughout the decades, taking home 23 trophies in total since 1997. All in all, Chelsea FC has won 28 major trophies: six Premier League Cups, eight FA Cups, five English Football League (EFL) Cups, four FA Community Shields, one UEFA Champions League, two UEFA Cup Winners’ Cups, one UEFA Europa League, and one UEFA Super Cup. With such a great legacy behind them, and seemingly recovering well from a bad season, Chelsea FC is making a comeback. With an exciting style of playing that’s pleasing to watch, The Pensioners are bringing the game to their opponents with each and every match. This team is still definitely one to watch, even if the odds against them are low because of their popularity.